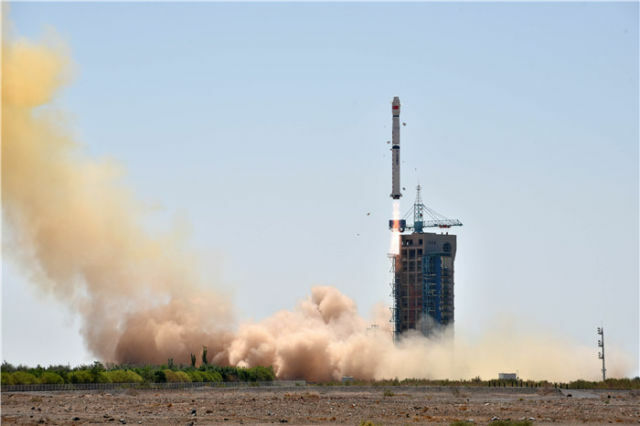 CAMSAT has released details of three new amateur radio satellites, CAS-5A, CAS-5B and CAS-6, that are hoped to launch in September 2018. Two of the satellites CAS-5A and CAS-6 will carry transponders. • UHF – AX.25 4.8k/9.6k Baud GMSK Telemetry. The transponders will have 30 kHz bandwidths except the H/U one which will be 15 kHz. 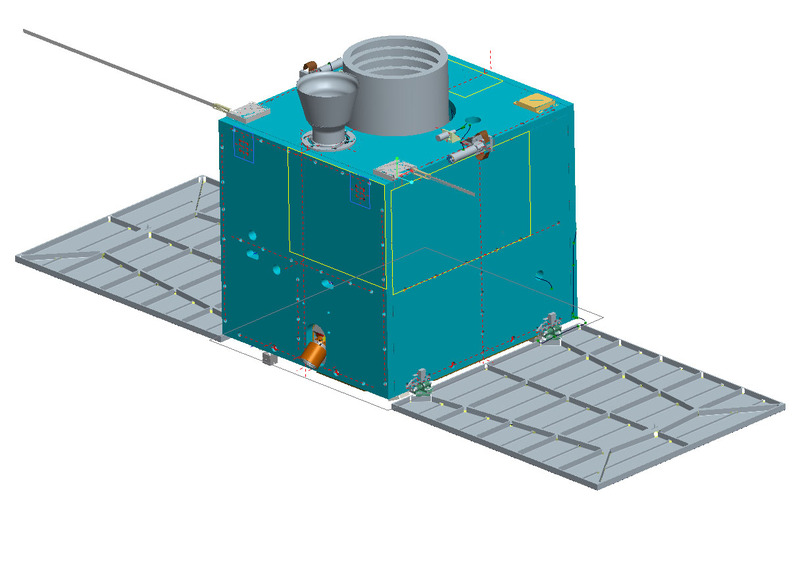 Planning a launch in September 2018 from the Jiuquan Satellite Launch Center into a 539×533 km 97.5 degree orbit. CAS-5B a femto-satellite architecture 90Lx80Wx50H mm with a mass of 0.5kg Proposing a UHF CW beacon and to be deployed from CAS-5A when in space. Planning a Sea Launch Pad from the China Academy of Launch Vehicle Technology in September 2018 into a 579 x 579 km 45 degree orbit. 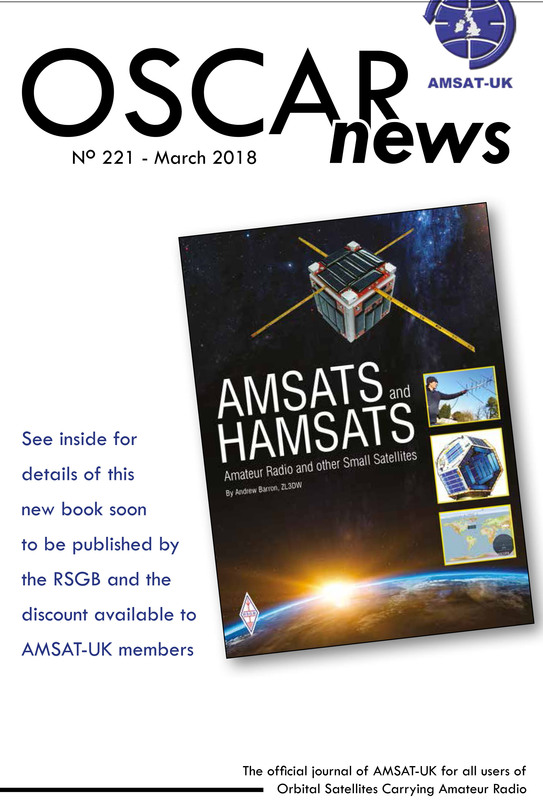 E-members of AMSAT-UK can now download the Spring 2018 edition of OSCAR News here. This edition describes how to make contacts through amateur radio satellites using your 144/430 MHz FM handheld transceiver and has an update on the satellites carrying FUNcube SSB/CW linear transponders. • Work FM Satellites with your HT! • Getting rid of some of the rubbish! AMSAT President Joe Spier K6WAO talks about AMSAT and Satellites with Gary Pearce KN4AQ of HamRadioNow at the Orlando HamCation. On Wednesday, October 18, 2017 the amateur radio linear (SSB/CW) transponders on the CAS-4A and CAS-4B satellites were activated.